Forgotten Teams by Pat Williams is rich book filled with inspiration, impact and valuable life lessons. This book is perfect for the coach who, especially the basketball coach who is looking for valuable insight on how to be better at basketball, life and faith. I love his serving heart and amazing attitude. 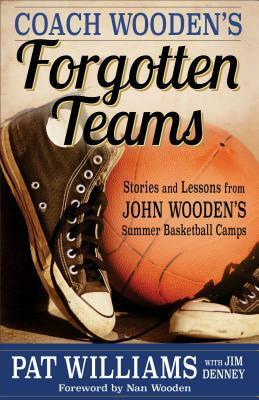 Coach Wooden is captured throughout this book and Pat did a fantastic job at communicating the person he was. This is a must read for all coach's, fans of Wooden and those who want a transformation in how they conduct themselves daily. This book was very inspiring. I give this book a 4/5 stars. A favorable review was not required for this complimentary book.